Follow Inhabitat on Pinterest for More Eco Goodness & Inspiration! Do you Pinterest? Good, ‘cause so do we. In fact we’re a little obsessed and we’ve been using it to keep track of our favorite green gift ideas, DIY activities, holiday goodies, and inspirational projects. Pinning has become one of our new favorite ways to share the amazing projects we come across, and we’d love for you to follow our boards. So what are you waiting for? Start pinning today! 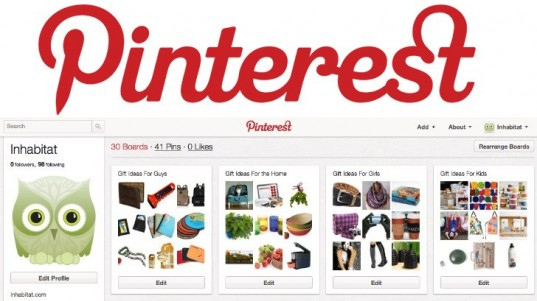 Do you Pinterest? Good, 'cause so do we. In fact we're a little obsessed and we've been using it to keep track of our favorite green gift ideas, DIY activities, holiday goodies, and inspirational projects. Pinning has become one of our new favorite ways to share the amazing projects we come across, and we'd love for you to follow our boards. So what are you waiting for? Start pinning today!